Butterfish restaurant, 700 W. Nields St., West Chester, a new American BYOB, opened last month. Andrew Patten has branched out from his West Chester borough landmark Spence Cafe. Last month, he opened Butterfish, a simple, New American BYOB just outside of town in the East Bradford Shops. 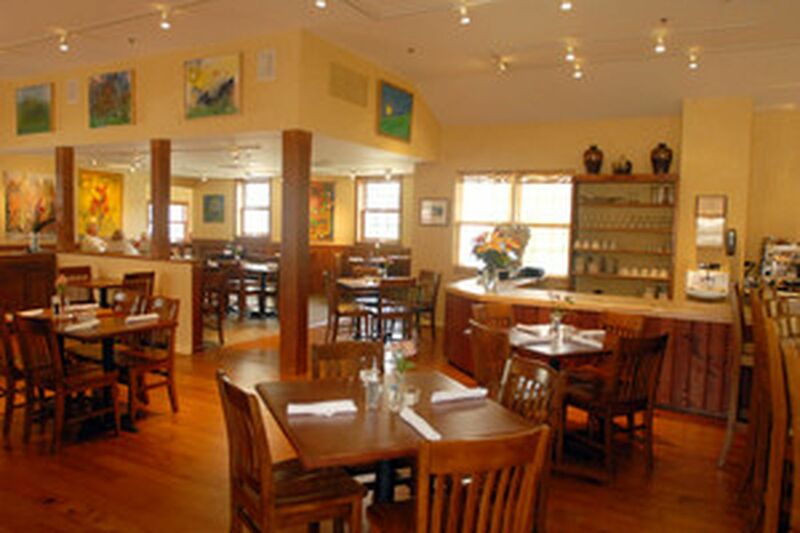 Butterfish (700 W. Nields St., West Chester, 610-738-8800) occupies the space of the short-lived Backroads Country Market. The shopping center sits on the old Jamison Dairy, where Patten worked as a teenager. The center also was home to the similar-themed Catherine's, which moved to Unionville several years ago. Chef Don Maue, who cooked at Spence as well as at Duling-Kurtz, has a smoker for brisket, pork, chicken and fish. It's open for lunch weekdays, dinner Mondays through Saturdays, and Sunday brunch. Figure on $8 to $15 for lunch and $19 to $29 for dinner entrees. , which replaced Regatta Bar in the Marriott in West Conshohocken (111 Crawford Ave., 610-941-5600). The "347" is the number of Shula's coaching wins; the theme is upper-end sports bar with an American grill in an adjacent dining room (lunch tab will be about $18 a person, dinner about $30). This is one of four concepts for Shula's, based outside of Miami. There's Shula's 2, a sports bar, which had a location here for a few years at the Sheraton University City until it closed in 2002. There's Shula's on the Beach in Fort Lauderdale. And there's Shula's Steak House, a high-end affair whose Philadelphia location, in the Sheraton City Center, will close after dinner Saturday. Phillips Seafood, out of Maryland, will take the space. Rather than renew its lease at the Bellevue, jazz club/restaurant Zanzibar Blue will close after April 29. ZB has been downstairs at the Bellevue since late 1996 after nearly six years on 11th Street near Clinton. Ben and Robert Bynum for now will focus on Warmdaddy's, which moved last fall into Riverview Plaza in South Philadelphia. , a casual bar-restaurant at 998 Bay Ave. on the bay in Somers Point, N.J., the former Sails. The restaurant space along the 17th Street side of the Radisson Plaza-Warwick Hotel will be Tavern 17 when it opens May 1-ish. Interior will include leather, wood and exposed brickwork. Concept will be "artisan flights and bites" - a 1,200-bottle wine inventory, small-plates menu, and happy hour known as "1700 hour," playing off the military time for 5 p.m. and the Warwick's address of 1700 Locust. Management team includes Josh Dougherty, last in Minneapolis, and Francesco Bellofiore, a former assistant manager at Lacroix. Chef Mark Blevins was executive sous chef at Continental Mid-town. New executive chef at the Water Works, off Kelly Drive: Darryl Harmon, fresh off the casino circuit, including a stint with chef Fred Rieger at the Taj Mahal. Augustine Cubero, formerly of Le Bec Fin and the Ritz Carlton, is the new dining room manager.